U.S. President Donald Trump has taken two seemingly incongruous actions with respect to Iran. On the one hand, he has slapped new economic sanctions on that country over its ballistic missile program and Tehran’s alleged «malign activities», including targeting 18 entities and people for supporting «illicit Iranian actors or transnational criminal activity». On the other hand, Trump certified to Congress that Iran is still complying with the terms of the 2015 nuclear deal negotiated by his predecessor, Barack Obama. Regarding that agreement, critics, such as the fake news Los Angeles Times, immediately attacked Trump for breaking his campaign promise «to ‘rip up’ the nuclear deal with Iran as soon as he took office». This position shows a businessman’s common sense – a rare commodity in Washington. While career politician Barack Obama disingenuously commented that «no deal is better than a bad deal», real-world Donald Trump was smart enough to know that sometimes a bad deal is better than no deal if the latter leads to a worse outcome. That was clearly the case with the Iran nuclear agreement. Whatever its flaws, no one really believed critics’ claims that the «alternative to this bad deal is a much better deal». Iran conceded as much as it did only because the Obama Administration – in its single positive achievement in foreign policy, in my opinion – was able to secure the support of Russia and China in addition to our European satellites. Without that common front, certainly no «better» deal would be possible if the U.S. were now to walk away. The only alternative to even a flawed deal would be war, and everyone knows it. Many of those who urged Trump against certification of Tehran’s compliance have been agitating for war against Iran for years. (It goes without saying they also advocated regime change in Iraq and Libya.) According to press reports of unknown accuracy, the certification decision was a near thing, with Trump’s advisers sharply split on their recommendations and the president initially leaning against certification. Some observers took the sanctions accompanying the decision as an indication Trump will kill the deal at a future point. But there’s another possible interpretation. Trump knows that war with Iran would destroy his presidency as the Iraq war destroyed that of George W. Bush. What if Trump applied the new sanctions as a tactical move to allow him to blunt criticism for keeping the nuclear deal in place? Compare Trump’s seemingly contradictory actions on Iran to the late bombshell news that he has ordered the cutting off of the CIA’s program to arm «moderate rebels» – or rather, al-Qaeda-linked terrorists – in Syria. It comes after the minor miracle of a Trump’s agreement with Russian President Vladimir Putin for a ceasefire in southwest Syria, which seems to be holding despite its repudiation by Israeli Prime Minister Binyamin Netanyahu. 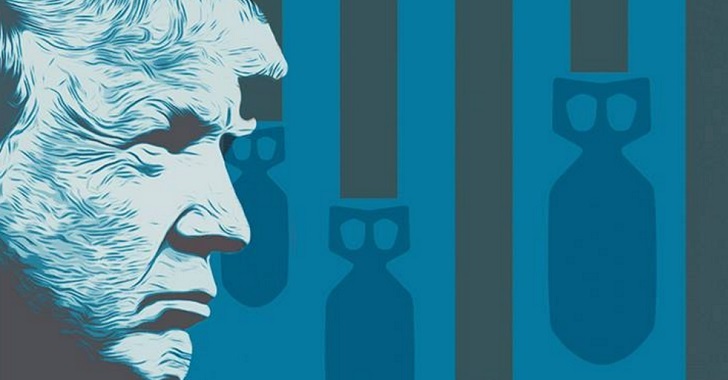 Given the state of siege Trump is under because of the Russian «collusion» accusations, could these positive steps have been taken in the absence of the largely symbolic April cruise missile strike on a Syrian base, which won him praise from his domestic enemies – despite having being told by intelligence that Damascus was not responsible for the April 4 chemical attack in Idlib? Perhaps the seeming contradictions in Trump’s approach to Iran and Syria are just the result of confusion and dissension. Or perhaps they are part of a deliberate strategy?